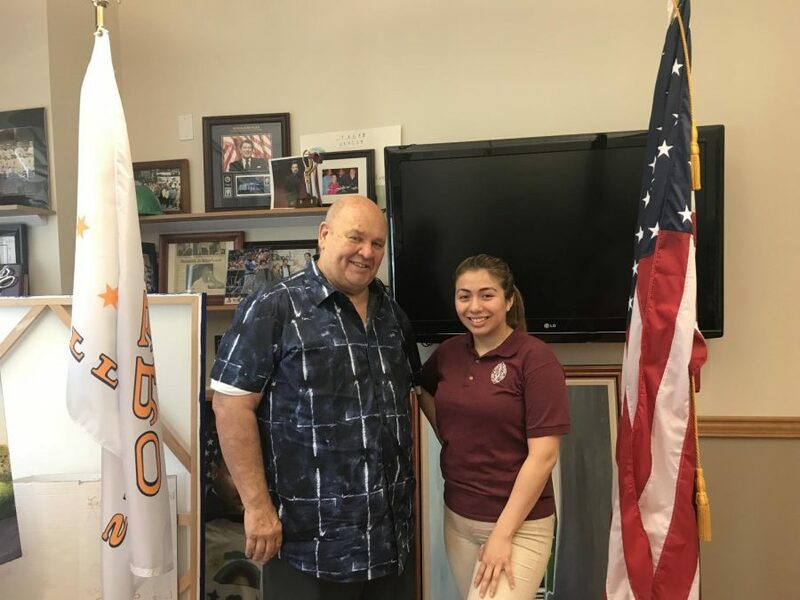 Town of Cicero president Larry Dominick poses with Pony Express News reporter senior Celine Martinez. It’s been in the news: littering is a problem! But, how many students actually contribute to the problem? In a random survey of 100 Morton East students, an astounding 68% of students admitted to littering. 9 b illion tons of garbage is dumped into the ocean every year, and, as for land, an average person will take 12 paces before they let go of a piece of trash on their hands. As you can see by these littering statistics, it’s not going away anytime soon. “Littering has always been a problem everywhere. You know what aggravates me is when you’re at a red light and you see somebody take their ash tray out and dump in the streets,” Larry Dominick, President of Town of Cicero, said. Fortunately, the town employs street sweepers. “We sweep each side of the street once a week. Our sweepers do the job; we keep them out about nine months a year,” Larry Dominick said. But, community members can always help out as well. “When I was growing up, people used to go out in front of their house and sweep, and pick up other people’s garbage,” said Larry Dominick when asked what someone in the community can do. Just recently, May 12, Morton East clubs helped clean up with community on Town of Cicero Earth Day Clean-Up. Hundreds of volunteers lent a helping hand. Remember this, the next time,you see a hand drop trash on the ground — and pick it up! That’s nice. Spread the word: trashy people litter! For real. People need to pick up after themselves.